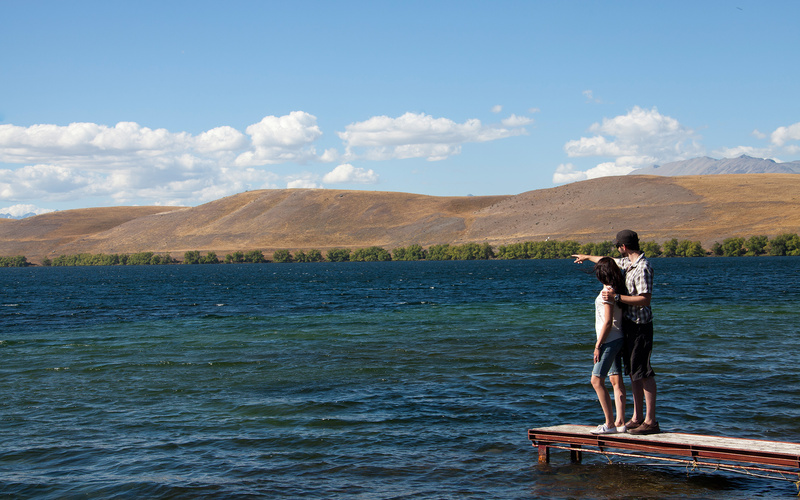 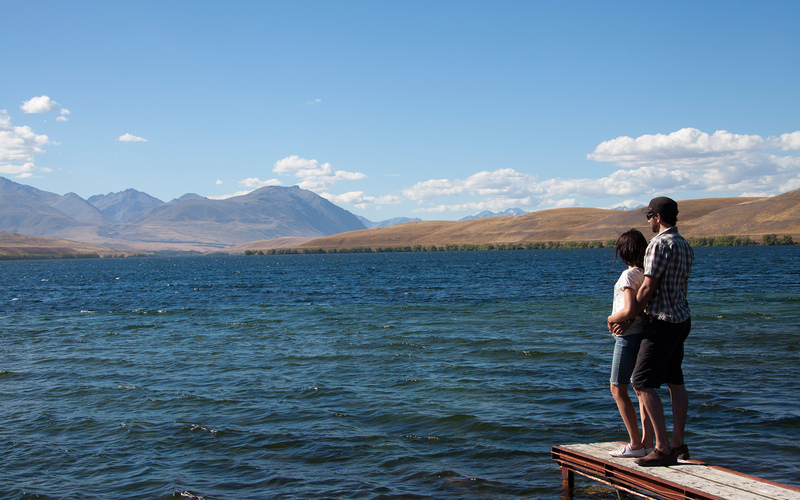 Lake Alexandrina is a spectacular example of a South Island high country lake, and is a hidden gem to many in the Mackenzie region. 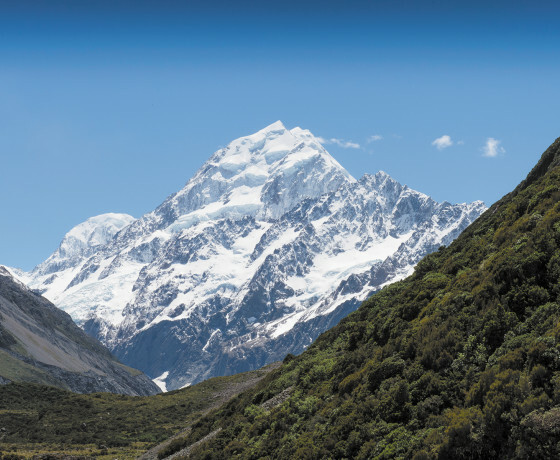 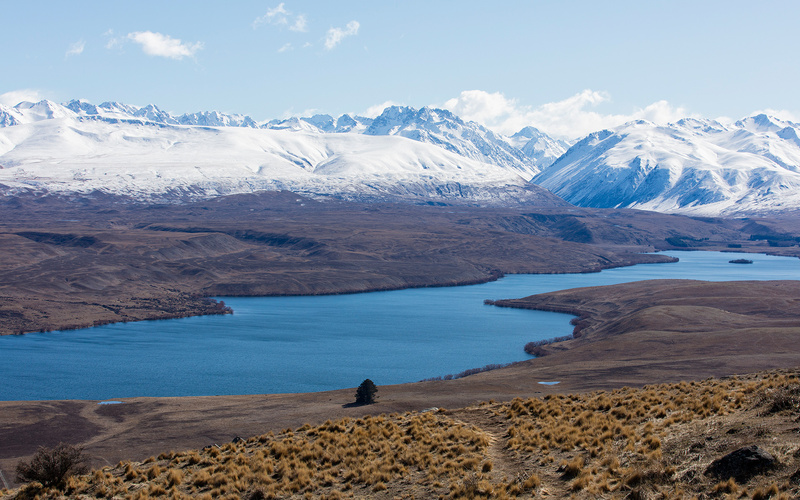 Visible from the top of Mt John, Lake Alexandrina’s long and narrow form is put in to perspective. 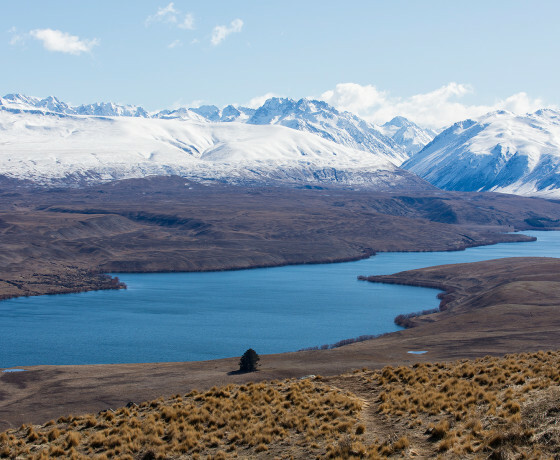 The lake is spring fed and surrounded by tawny coloured dry tussock of the region and surrounded by tall mountain peaks. 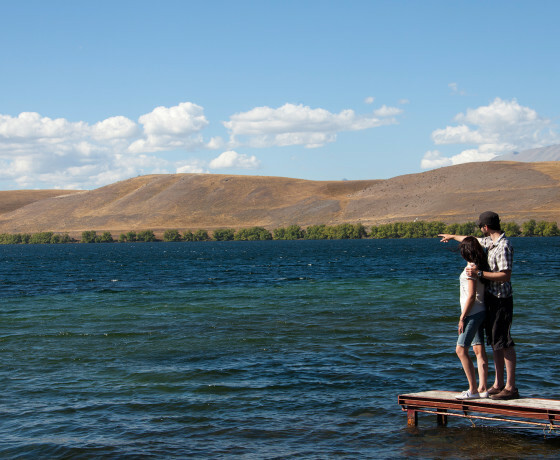 A paradise for those into high country fishing, the lake is abundant with brown and rainbow trout and salmon. 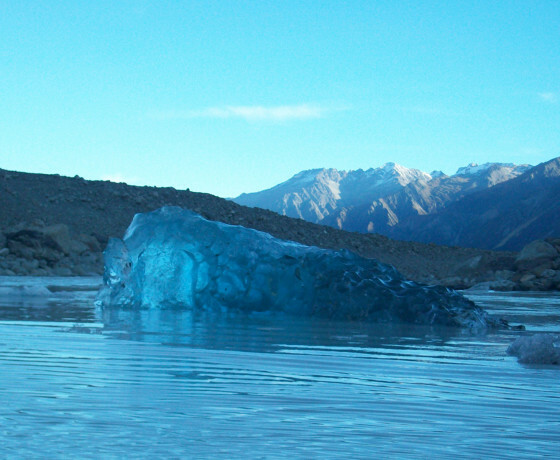 It’s also very deep, making it an exciting challenge for fly fishing. 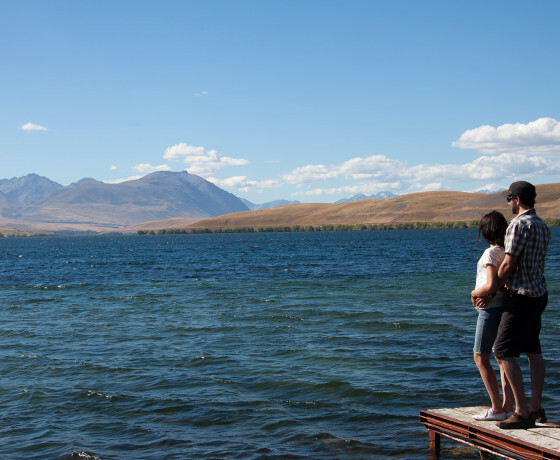 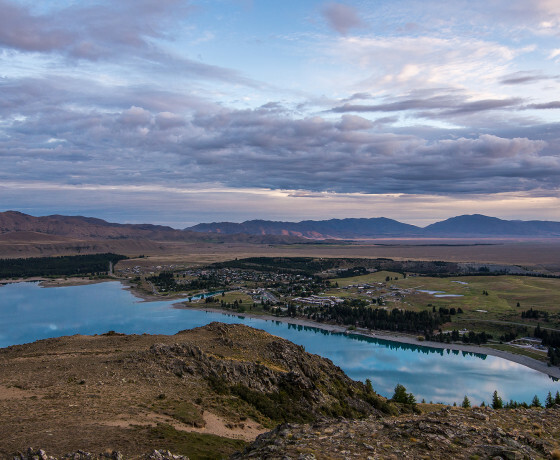 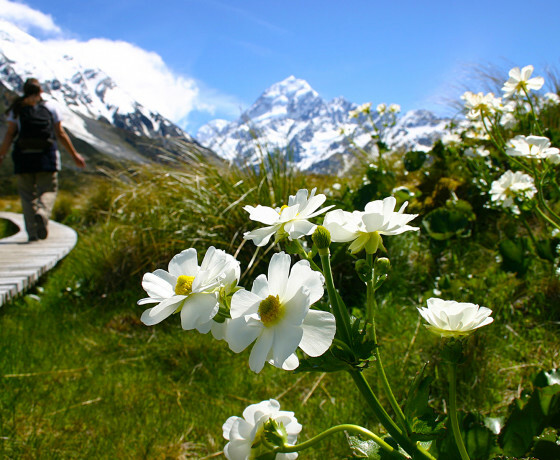 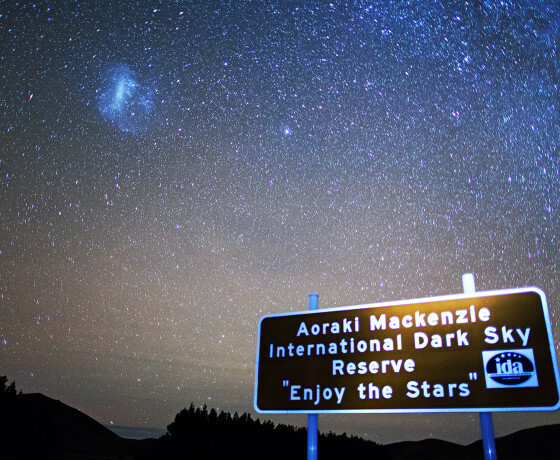 Lying parallel to much larger counterpart Lake Tekapo and sitting within a protected wildlife area, Lake Alexandrina is a serene place to head. 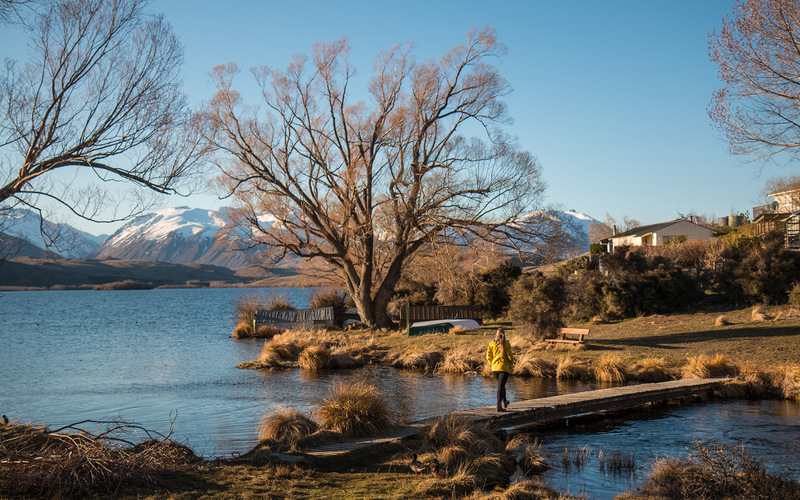 Free from motor boats and jet skis, the lake and its surrounds are magnificently peaceful. 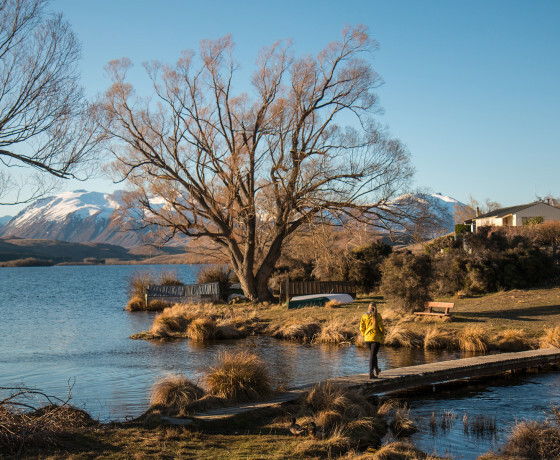 A walk around this beautiful lake will give you a true experience of the wild, open, serene and peaceful Mackenzie region. 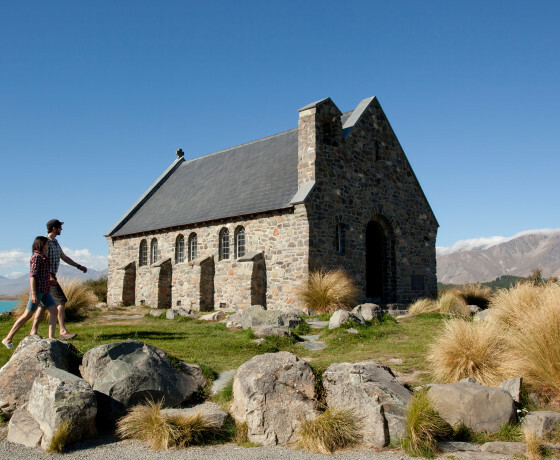 Sit and listen to the birdlife, the water lapping the shore, and marvel and the tranquillity of this special place.